This page has limited information. 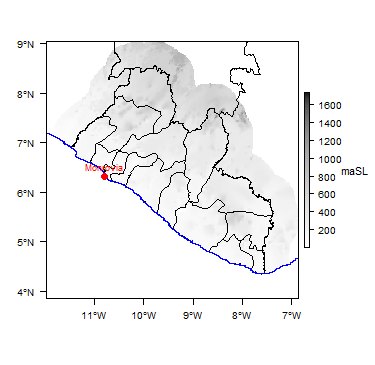 If you have more information on the hydrogeology of Liberia , please get in touch! The Republic of Liberia began in its present form after 1822 as a settlement of the American Colonisation Society, who believed that Black Americans faced better chances there. The indigenous people inhabiting this area included the Kru and Grebo, many of whom had migrated from regions further east in past centuries. In 1847, the settlers declared Liberia an independent republic, with a constitution modelled on that of America, and retained its independence during the subsequent period of European colonialism. After the USA recognised Liberia in 1862, the two countries had reasonable diplomatic relations: Liberia supported the USA in WWII and the USA subsequently invested in Liberian infrastructure to a modest extent, albeit within the context of foreign direct investment in the rubber industry. There has been periodic ongoing tension between the minority of black settler-colonisers and indigenous peoples since the republic was founded. The settlers established and dominated the country’s political system. A period of serious unrest began in 1980 with a military coup, years of military rule and two civil wars that devastated the economy, ending with a peace agreement in 2003. Since then, Liberia has experienced relative political stability and economic recovery, but the economy and infrastructure remains poorly developed, and recovery was affected by an outbreak of Ebola virus in 2014-15. Rubber and timber plantations, ironically sometimes run with indigenous slave labour, dominated the economy from the start of the 20th century. Iron ore was another significant export until the industry declined during the civil wars. During those wars, Liberia was a transit point for diamonds from Sierra Leone, the funds of which were used to purchase weapons, and the international community banned trade in diamonds with Liberia during that period. Today, Liberia is one of the world’s poorest countries, with one of the highest ratios of Foreign Direct Investment to GDP. The years of war left little water and electricity provision outside the capital. Liberia is a shipping ‘flag of convenience’: vessels from any country can register there, and this provides a large proportion of GDP. Liberia, a tropical country, has high rainfall and abundant surface water supplies. Groundwater is also widely used, for both rural and urban supplies. Liberia. Map developed from USGS GTOPOPO30; GADM global administrative areas; and UN Revision of World Urbanization Prospects. For more information on the map development and datasets see the geography resource page. 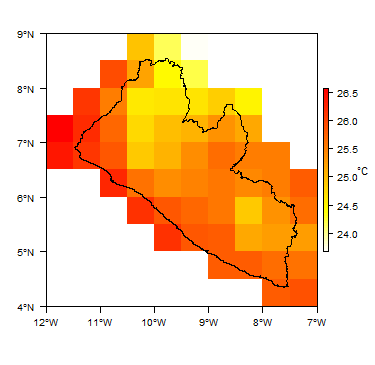 More information on average rainfall and temperature for each of the climate zones in Liberia can be seen at the Liberia climate page. Liberia has a number of major river systems originating in neighbouring countries and flowing generally from northeast to northwest, which drain the vast majority of the country. There are also a number of short rivers in the coastal zone that flow directly into the sea. Major surface water features of Liberia. Map developed from World Wildlife Fund HydroSHEDS; Digital Chart of the World drainage; and FAO Inland Water Bodies. For more information on the map development and datasets see the surface water resource page. 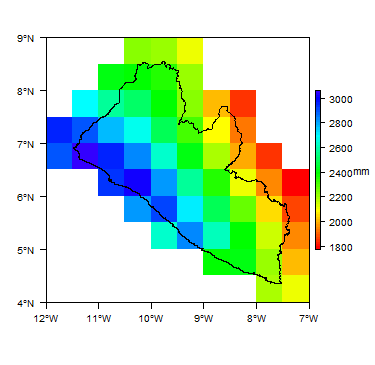 Soil Map of Liberia, from the European Commission Joint Research Centre: European Soil Portal. For more information on the map see the soil resource page. 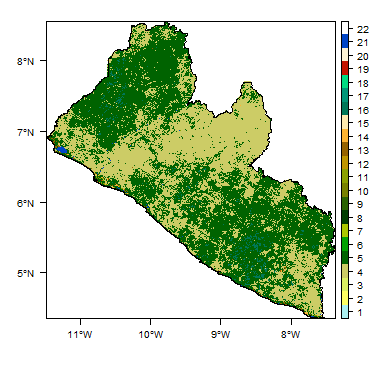 Land Cover Map of Liberia, from the European Space Agency GlobCover 2.3, 2009. For more information on the map see the land cover resource page. The geology map on this page shows a simplified version of the geology at a national scale (see the Geology resource page for more details). More information is available in the report UN (1988) (see References section, below). 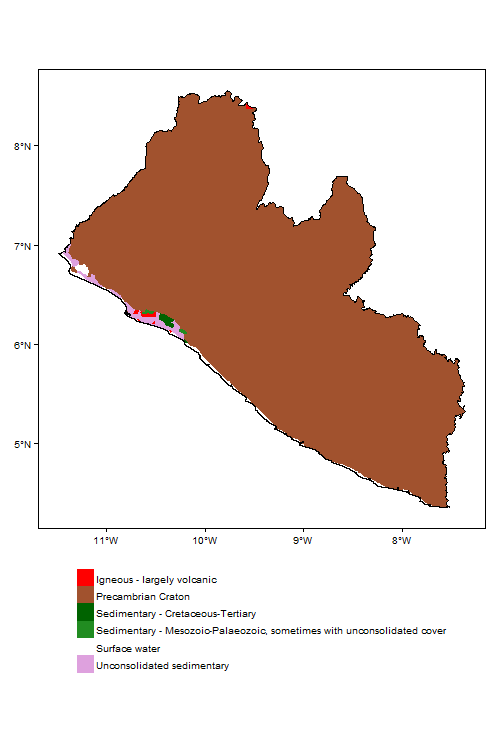 Geology of Liberia.Developed from USGS map (Persits et al. 2002). For more information on the map development and datasets see the geology resource page. More information on the hydrogeology of Liberia is available in the report United Nations (1988) (see References section, below). Water point databases exist with information on more than 3,000 hand dug wells and more than 600 boreholes in Liberia, although information for some parts of the country is not yet recorded. Most of this information was collated during the 2011 Liberian Waterpoint mapping project. Most of the waterpoints recorded are groundwater sources - hand dug wells or boreholes, although only protected (improved) hand dug wells are recorded in the database. The waterpoint database does not contain much groundwater information: no geological log information is available for the groundwater sources, and most have no information on groundwater (rest/static) level. Some qualitative water quality information is available. The waterpoint database is available to view and download at the WASH Liberia website. References with more information on the geology and hydrogeology of Liberia can be accessed through the Africa Groundwater Literature Archive. United Nations. 1988. 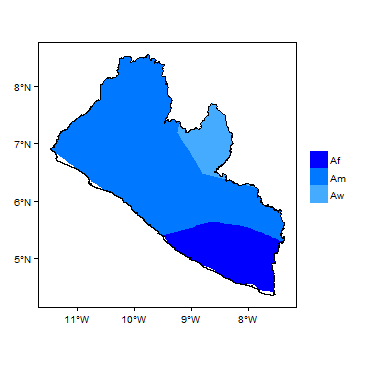 Groundwater in North and West Africa: Liberia. United Nations Department of Technical Cooperation for Development and Economic Commission for Africa.